It’s no secret that Thierry Mugler is one of my favourite perfume brands, with Alien being my daily signature scent. I was absolutely over the moon this year when they finally released a matching scented candle, that meant my home smelt divine and perfectly like my favourite perfume. So naturally the Christmas selection of Alien gifts was always going to be excitedly recieved. And this was never more true than when Santa dropped of the Thierry Mugler Alien Christmas Coffret a tad early this year. If you’ve never smelt Alien, it’s unlike any other perfume I’ve tried before. It’s musky and heavy without being overwhelming. It’s an amber, woody fragrance with notes of jasmine, cashmeran wood and white amber – it’s very ladylike and feminine. It’s easy to wear and it’s got excellent staying power – one application in the morning to the neck, wrists and a quick overall spritz and I’ll still be able to smell it by mid afternoon. It’s long lasting and even after wearing this for years, it never looses the ability to make me admire it’s scent every time I wear it. I ask for a bottle of this every year at Christmas, I wear it so often that it’s nice to stock up and have a bottle ready and waiting for when mine runs out. I love Christmas for perfume shopping (and gift giving/recieving!) because usually for the same price of the normal bottle, or very little extra, you usually get a body lotion, shower gel or other scented product to match. 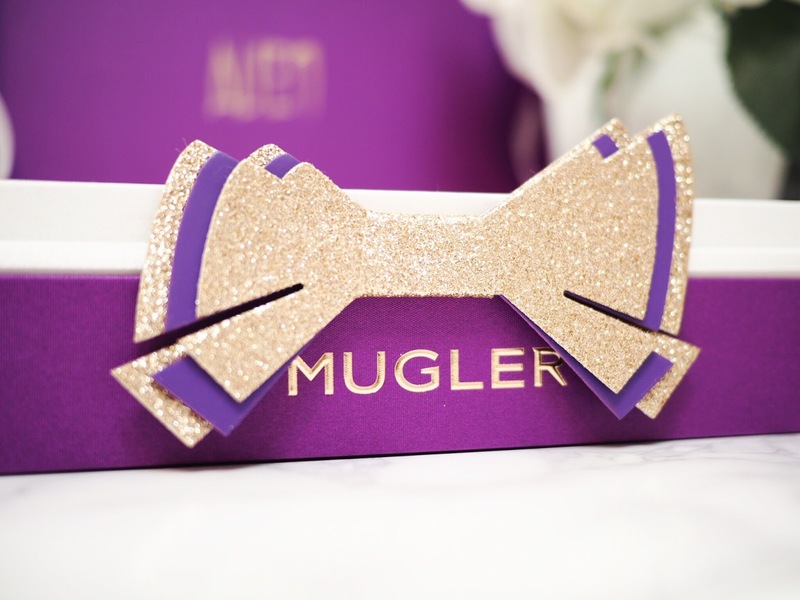 This year’s Christmas selection from Mugler is no different at all. Included in the Alien Coffret is a 30ml refillable bottle of the eau de parfum, along with a 50ml radiant body lotion and 50ml radiant shower gel. Pretty good going for only £52 – and it comes in a gorgeous deep purple box to give it even more of a touch of class and sophistication. Considering a 30ml bottle of Alien would cost £52 on it’s own, you’re effectively getting the body lotion and shower gel for free. Now that’s an offer that even Santa can’t afford to miss. Plus if you’re more of the Angel Mugler kinda gal, then there’s a coffret for that too. Get yours from the Thierry Mugler website HERE.